So I have been trying (really trying hard, with the exception of still eating chocolates) to be healthier. Exercise, sleep, good food. In my quest, I have switched from white rice to brown rice. And trying to amp up the veggie factor, I decided to add more veggies in the mix to get a good serving of it without me noticing. 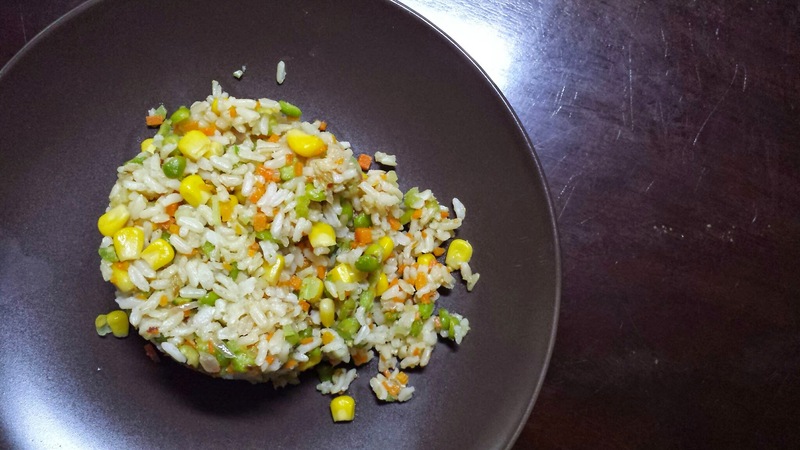 Since this was going to be fried rice, I wanted vegetables that did not sweat. Meaning I don’t want sayote, or beans that would turn black eventually, or cabbage that would release a lot of water. So I opted to add carrots, corn, broccoli stems, and cooked dried peas. The mix was about 2:3 ratio of vegetables to rice, so it was a hefty amount. But I still count it in the same way i do my rice in my calorie counter. ← Finally, the Guanciale is done!